It's a case of "buyer beware." A judge has ruled $62,500 in cash, seized by Charlottetown police inside a bitcoin vending machine, belongs to the company that owns the machine. The woman who put it there was the victim of a scam. Police say the fraudster will likely never be caught. A judge has ruled $62,500 in cash, seized by Charlottetown police inside a bitcoin machine, belongs to the company that owns the machine. The woman who put it there was the victim of a phone scam. "It's really hard. I need that money back," said the woman, fighting back tears in a telephone call with CBC News, after the decision Friday in Charlottetown Provincial Court. "I want other people to know what happened to me, so it doesn't happen to them." The court case centred on who legally owns the money she deposited into a bitcoin machine. 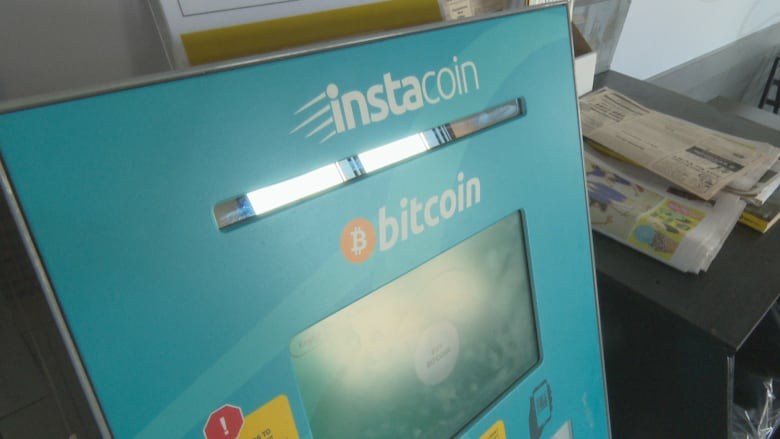 Charlottetown lawyer Michael Drake, representing the machine's owner, Instacoin ATM Canada Inc., argued that the company merely provided a financial service to the woman, by converting cash to bitcoin currency, and sending it to the computer address she provided. In this case, the woman provided the computer address of an unknown telephone fraudster. "Both sides involved in this case are completely sympathetic to the woman," said Chief Provincial Court Judge Nancy Orr, as she handed down her decision. "It's up to the bitcoin purchaser to know what they're doing." At a court hearing in September, the woman testified the man who phoned her claimed to work for the Canada Revenue Agency. As a recent immigrant, she testified she found it believable that she faced immediate arrest and deportation if she did not send him large amounts of cash. She testified the numbers displayed on her phone looked legitimate. The fraudsters even called her at one point, she testified, claiming to be her accounting firm, advising her to pay the money. The woman's lawyer, Jonathan Coady, had argued she was acting "under duress" when she put the money in the machine, and for that reason, she had not consented to the transaction. "It's most unfortunate that she was victim of such a sophisticated fraud, " said the judge Friday. "But Instacoin did not put her under duress." Digital currency, such as bitcoin, is used in online transactions that do not use traditional banks. During her ruling, the judge reviewed Government of Canada information on digital currency. Transactions are anonymous, she noted, making that one of their attractions, but also a drawback in cases of fraud. Digital currency transactions are instant and non-reversible. The woman who lost her money told CBC News she continues to receive calls from telephone scammers. "Now I hang up," she said.